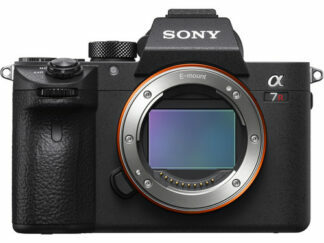 Most cameras contain a blurring anti-aliasing filter over the senor that serves to reduce moire. Although reducing moire, this filter also effectively blurs every image a little bit and reduces sharpness and resolution. Nikon made the revolutionary D800E, a version of the D800 without the anti-aliasing filter. As a result, the D800E produces sharper images, at the cost of occasionally causing moire. What is moire? Moire is an artifact that can occur when shooting finely repeating patterns. When the repeating pattern lines up with the Baayer pixel array in the right way, the object can hit only parts of the pixel, which can cause jagged looking lines, or false color banding. To explain the false color, say you are shooting white stripes. The white light, which need to hit the red, green, and blue sub pixel to register white, can potentially only hit a fraction of every pixel in the pattern, registering only on the red, or green, or blue pixel, which over a repeating pattern can make a patch of strange color. What does the AA filter do? The anti aliasing filter removes the moire by blurring the light, so that it gets distributed and can’t hit just the subpixels. Unfortunately, this blurring reduces sharpness in all images, even those that would not cause moire. How common is moire? Moire only shows up on finely repeating patterns, so for most shooting it is not a problem. Shooting things like fabrics or brick walls can sometimes cause moire, and even these patterns need to line up in just the right way for the effect to show up. Shooting landscapes or nature you will probably never encounter moire. Moire is more common in smaller resolution sensors, because the smaller number of pixels make it easier for a pattern to match the pixel spacing. 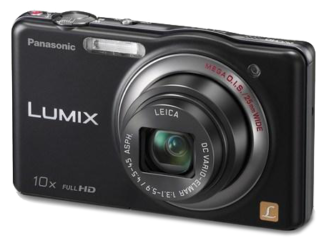 With higher resolution sensors, that is much less of a problem. 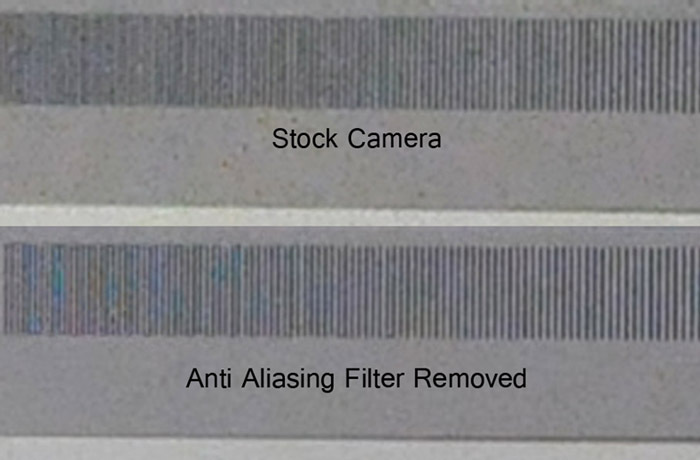 Removing the AA filter increases sharpness. There are many examples of the D800E compared to the D800. The difference may not blow you away, but for someone looking to get the absolute maximum resolution, it is a good option. Below is a studio test to demonstrate the effect, with the exact same camera, lens, focal length, and aperture used. Below you can see another comparison, where you can see moire. On the bottom image, you can see an increase in sharpness, accompanied by some color banding that shouldn’t be there. We can remove the AA filter from your camera. The AA filter is attached to the IR filter, so for any IR conversion, the AA filter is also removed. 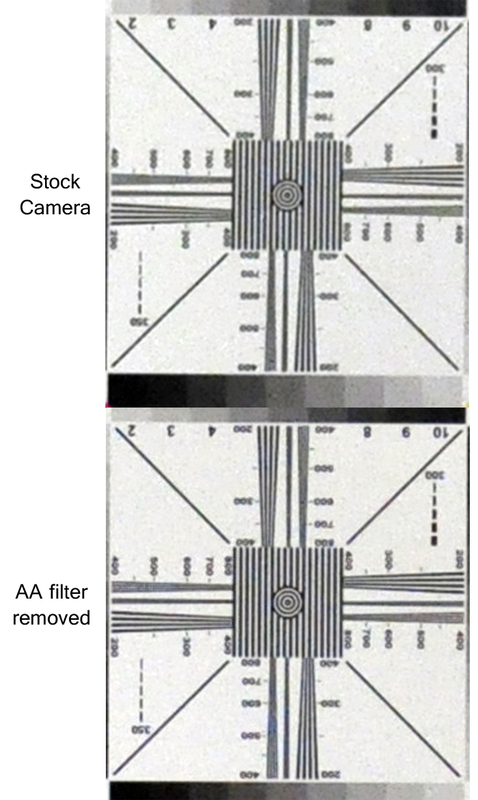 Because simply removing the anti-aliasing filter would cause significant IR leakage and a red shift in images, we replace the AA filter with our custom hot mirror filter. The custom hot mirror filter can cause a slight shift in white balance, which can be fixed with a custom white balance. 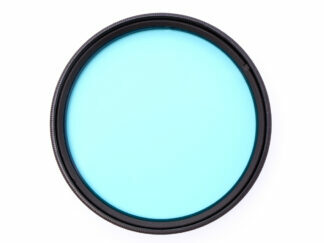 For more details about our custom hot mirror filter, see the related articles below. Have us remove the AA filter for you here.